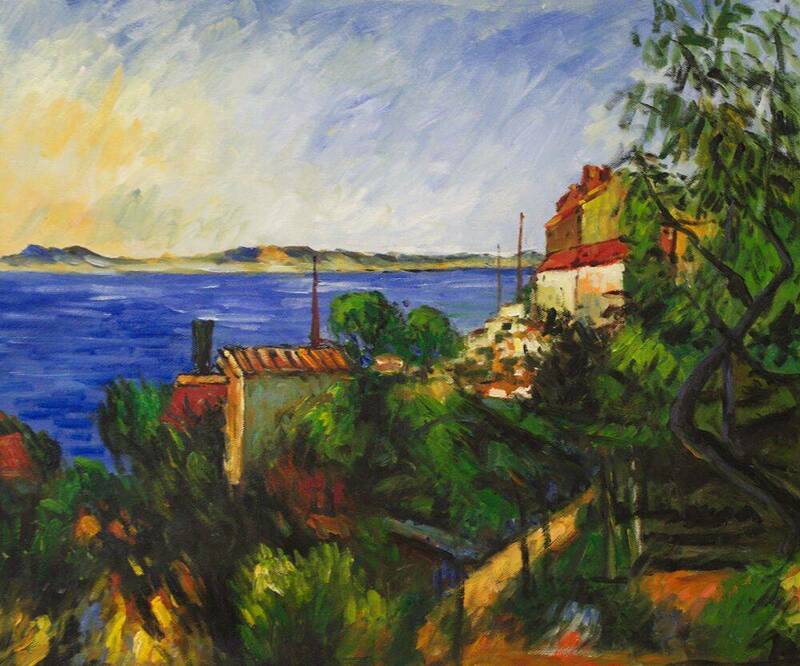 Paul Cézanne's La Mer a L'Estaque (The Sea at L'Estaque) is a significant portrayal of a place the artist knew by heart - the southern France village of L'Estaque. 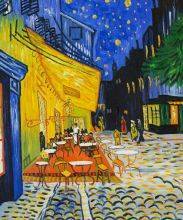 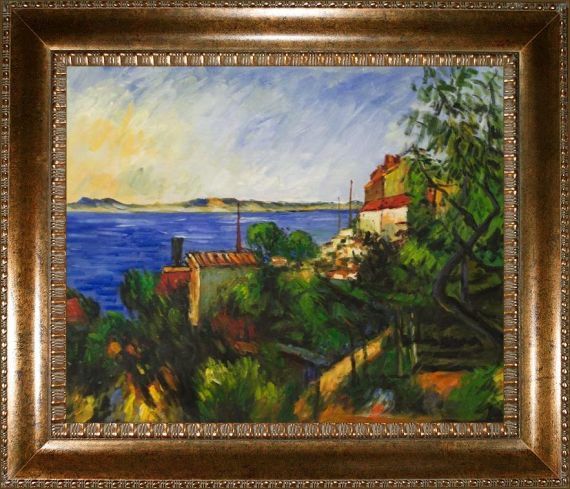 The village was a hotbed for Impressionist and Post-Impressionist artists in the 19th century. 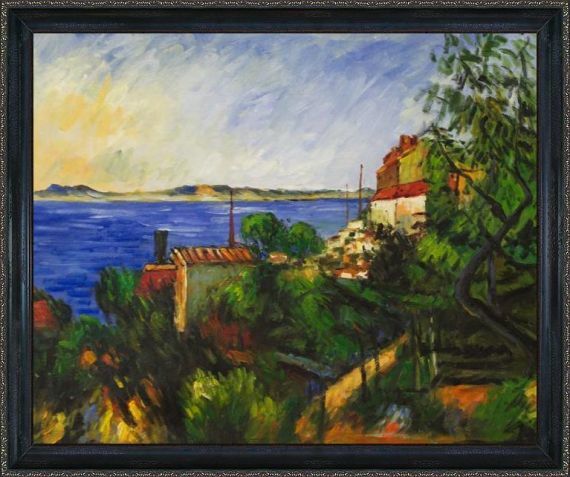 Cézanne painted many views of the water from his room in L'Estaque, showcasing not only the environmental changes by season, but also the development and growth of the village itself, a motif that marks the cultural and industrial transformation of the era. 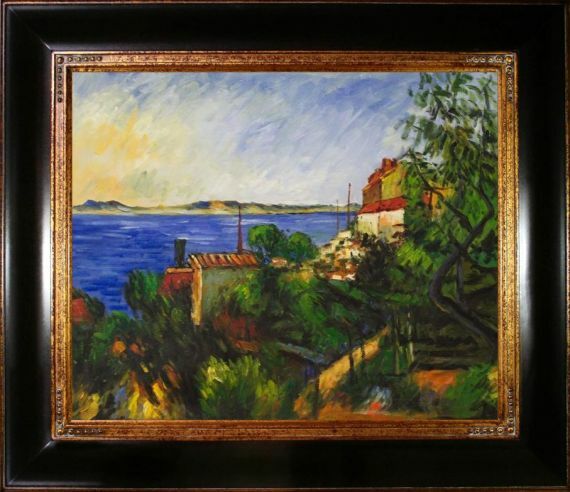 Sometimes referred to as Cézanne's most energetic work of art, La Mer a l'Estaque features an exceptional palette of greens, blues and ambers that enliven the seaside scenery. 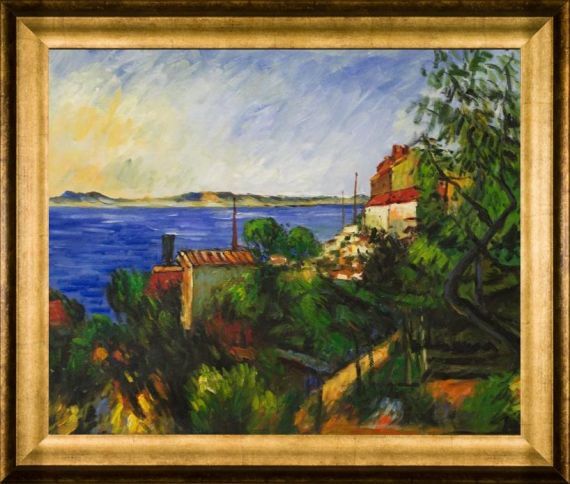 Painted in 1885, this masterpiece celebrates the artist's significant contribution to Post-Impressionism, with exploratory brushstrokes and intensely complex fields at every plane. 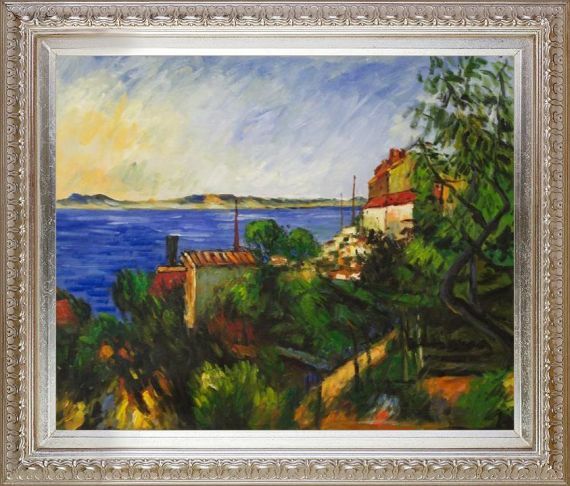 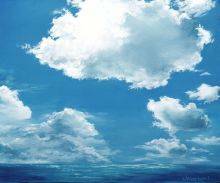 overstockArt's 100 percent hand-painted reproduction of La Mer a L'Estaque is done on artist-grade canvas with high-quality oil paints, with each detail meticulously recreated to honor the original.